BiblioWorks inaugurated its fifth library in colorful Villa Serrano in July 2007. Villa Serrano, boasts a lively music and dance tradition. It is known for the music of the charango, a small Andean stringed instrument, a cross between a ukulele and a mandolin. 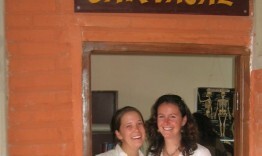 The Biblioteca Municipal opened thanks to the initiative of Sarah Ellgen, a former Peace Corps volunteer in the community. 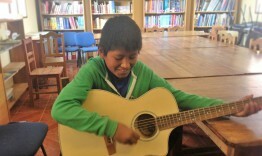 Along with providing access to books and computers, the library also functions as a cultural center that hosts workshops celebrating the dance, food, and music of Villa Serrano. 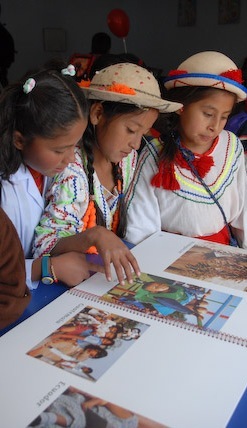 The library in Villa Serrano was the first municipal library that was left in the capable hands of the community. BiblioWorks continues to support the Villa Serrano library through periodic check-ins and training.